The iNymbus SaaS Startup Founder & CEO had a problem. He and his sales team had sold in or presented their clever SaaS product to everyone in their contact database. 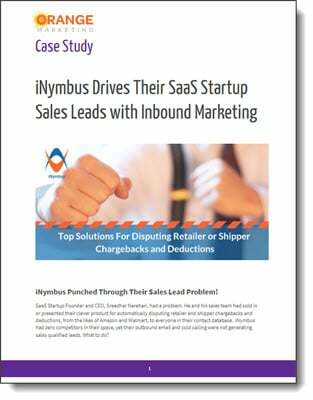 iNymbus had zero competitors in their space, yet their outbound email and cold calling were not generating sales qualified leads. What to do? Get all the details plus illustrations of the campaign tactics and metrics in this downloadable and printable PDF!